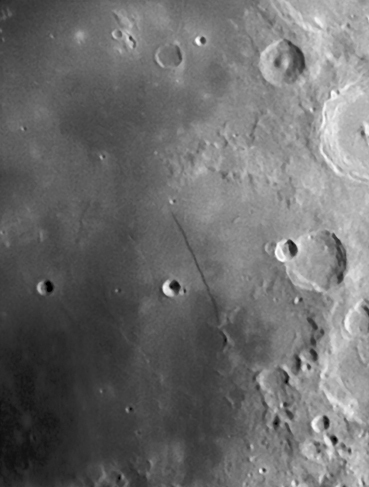 This feature is known as Rupes Recta, sometimes referred to as the Straight Wall. Some observers see this as a sword, where the mountains below form the hilt. This shot is from a nine day moon taken at f/20. It is a four frame mosaic.